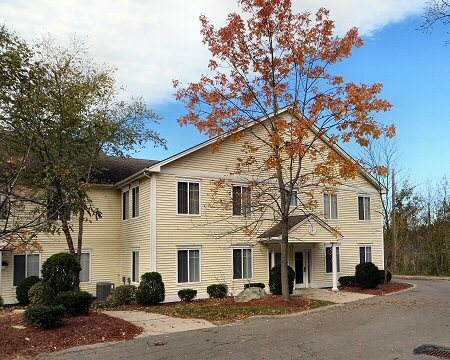 39 Simon Street Unit 16– Nashua, NH- LEASED! Office space for Lease—Fully Leased! Location: Easy highway access off of Exit 5 of the F.E. Everett Turnpike (Route 3) and just minutes to the Massachusetts border. Available Space: 2,400-3,000± rentable square feet. Suite has multiple private offices, two conference/open office work areas and kitchen. Efficient layout on one level. Rental Rate: $12 per rentable square foot, modified gross. Real Estate Taxes, Common Maintenance: Included in the base rent with escalations over the initial lease year. Maintenance: Tenant is responsible for the interior maintenance and office janitorial. Utilities: Tenant is responsible for all utilities including natural gas, electric, water, and sewer. Please note: While this information has been obtained from sources that we deem to be accurate, no representation is made as to its accuracy. This space is subject to change of price, prior lease, or removal from market without notice.